I don’t know about you, but I always thought making bread sounded so hard. Hours of slaving over the dough. Not anymore. I’ve discovered a secret weapon. The bread machine! 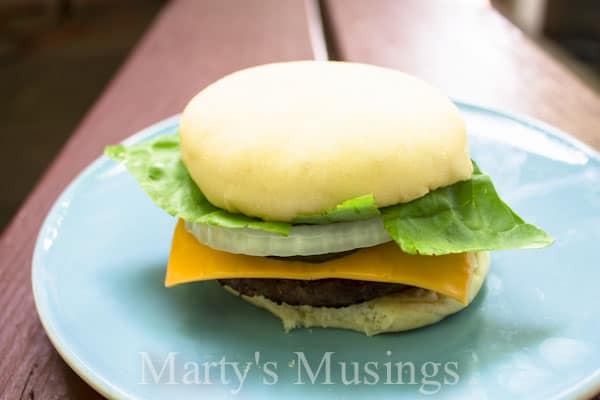 This homemade hamburger buns recipe is just a measure and go one, but if you’re new to a bread machine I’ve left you a note on the recipe card to help you out. My family will tell you that once you taste these buns they will beg you not to go back to store bought! 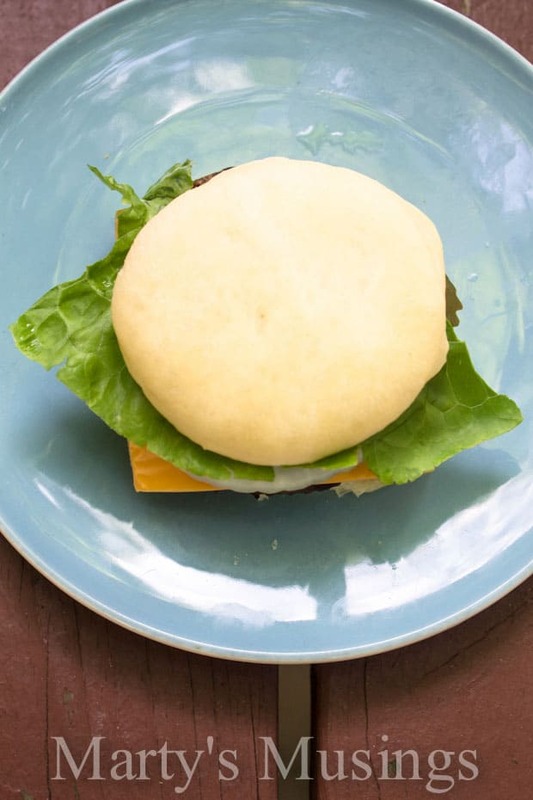 Your family won't want to go back to store bought with this amazingly easy recipe for homemade hamburger buns with the bread machine. 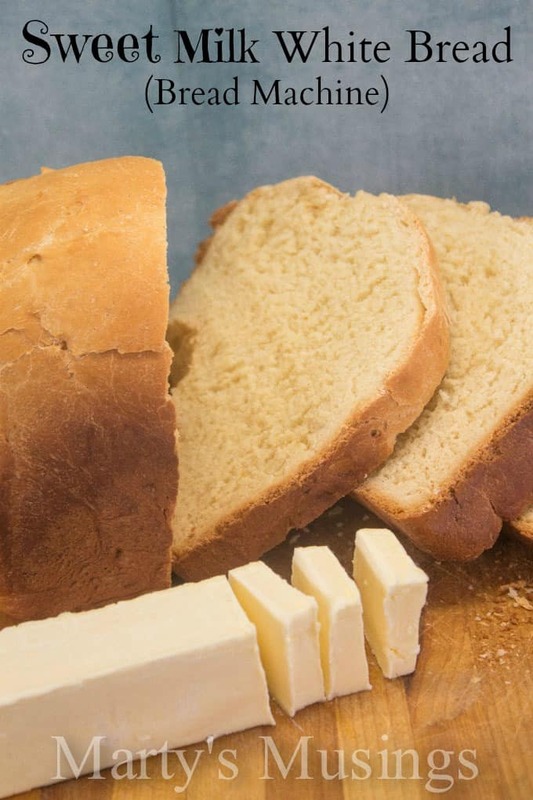 Place all ingredients in pan of bread machine in order listed. Cut each half into six 3 1/2" rounds with top of a drinking glass as a cutter. Place on greased baking sheet equal distance apart and brush with melted butter. With the bread machine it helps when I check the status of the dough in the first 10 minutes or so to see if the dough is "wet" enough or if it's too "wet" and I need to add a little extra flour. 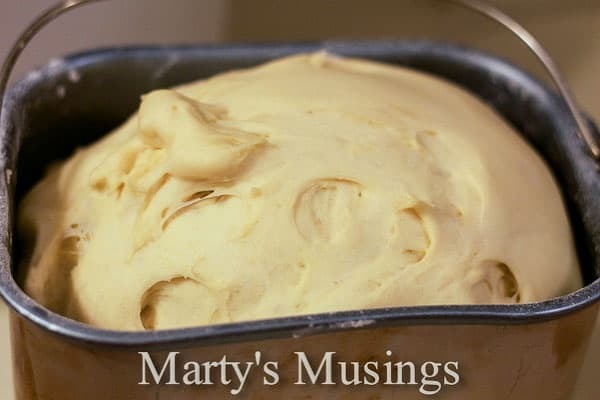 Temperature and humidity affect the dough texture. If the dough is too wet it can be sticky and more difficult to form into rounds. If the kitchen isn't warm enough (or I want the dough to rise faster) I will cut the stove on to warm up for just a few minutes before I set the dough to rise on top of the stove. 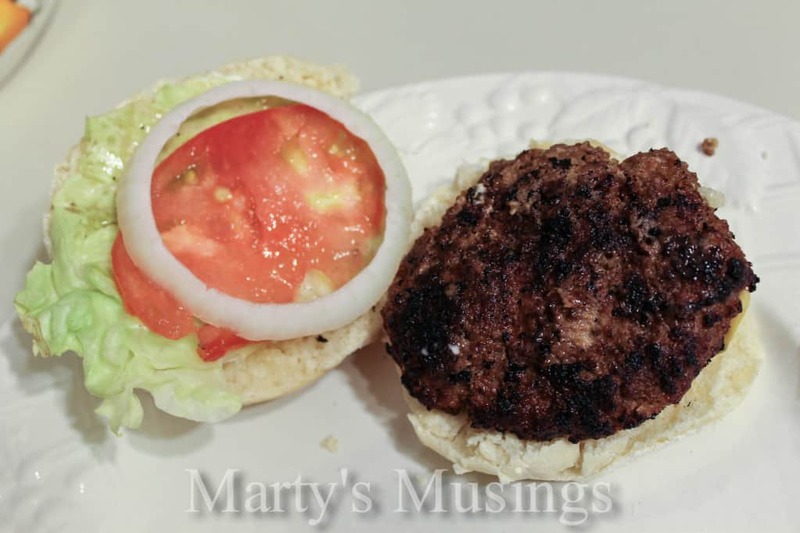 Do you have a favorite go to topping for your hamburger? I’d love if you’d share! I love homemade burger buns. Who am I kidding, I love homemade bread in general. Yum! 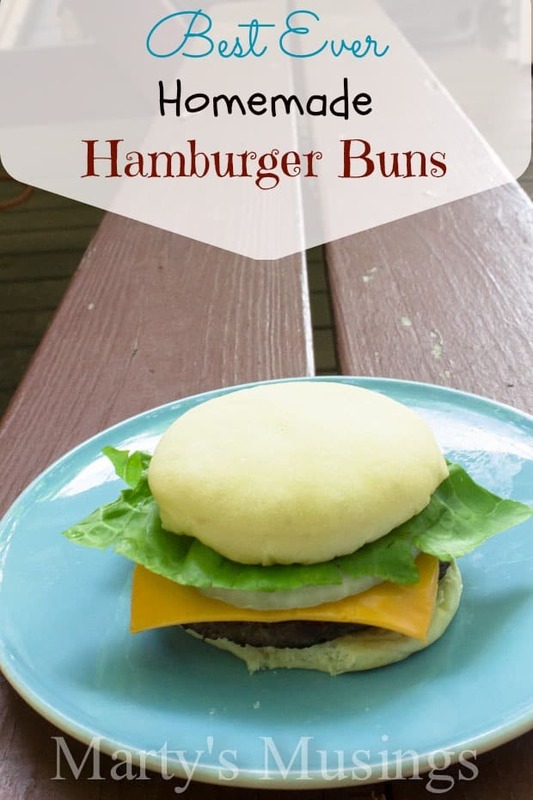 I love bread of any kind, especially when it’s homemade and hot from the oven and it makes your house smell like a bakery 🙂 These hamburger buns look easy to make – next time we have burgers, I’ll try these buns. 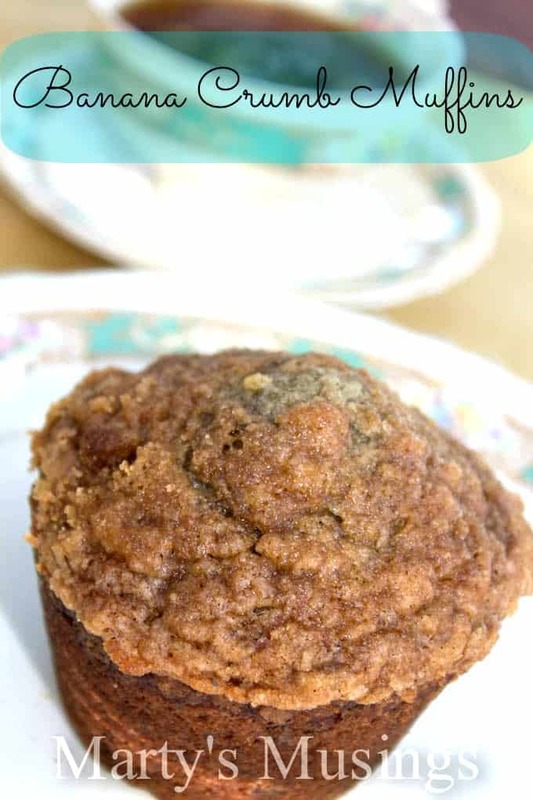 Might make them with whole wheat flour and see how they turn out. My burger toppings are the the usual condiments with onions & lettuce & tomatoes. But the best hamburger I’ve ever had was at a restaurant in PEI – I can’t remember everything that was on it, but I do remember the fried dill pickles. YUM! Hi, Kelly. I’m smelling your homemade bread even as I write this! 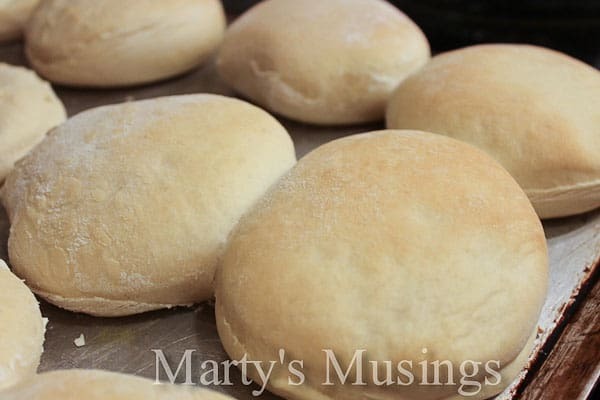 I love these homemade hamburger buns because they are so much better than store bought. Fried dill pickles? I’ve never tried any which is a shame since I’m a southern gal! Amazing! They look incredibly delicious. These look awesome! but I don’t have a bread machine, do ya think I could make them without the machine? Does the machine just do the mixing? Hi, Lucinda. 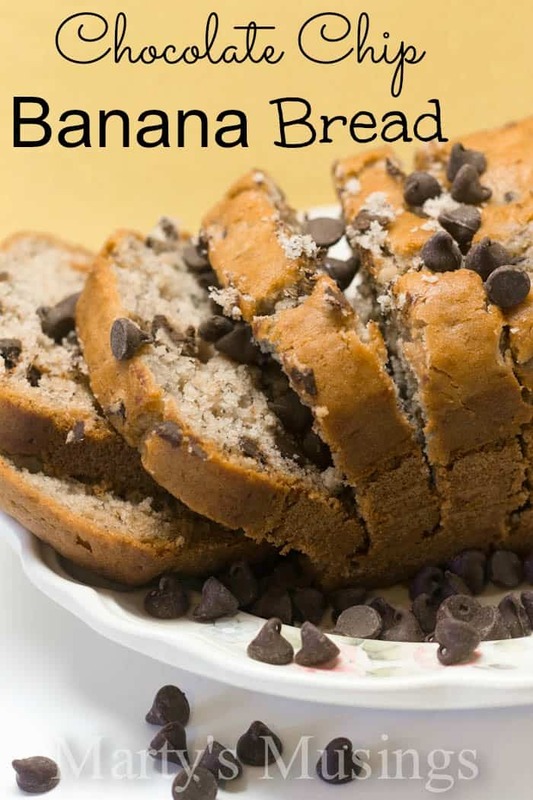 I’m sure you can make these without a bread machine, but I wouldn’t know how long to tell you to knead the dough. You can try looking online and seeing if you can find a good recipe. I just love the bread machine because it does most of the work for me! Your hamburger buns look delicious! I’ve been making homemade bread/buns for 7 years now and we love it. Just a tip, if you don’t have an hour for your bread to rise, you can do a quick rise in the oven. While you are cutting out your dough, set your oven on it’s lowest temp (mine is 170 degrees). When you have all your buns on the cookie sheet, place them in the oven and TURN IT OFF. Let the buns rise for 20 to 25 minutes (check periodically) and then take out gently and set oven for your baking temperature. And then bake as normal. This is especially nice in the winter when the kitchen is cold. Thanks so much for the tip, Teresa! I’m so glad you left it on this post so others can read it, too. Have a blessed weekend!